Esperanza works in the Dominican Republic on the Caribbean island of Hispaniola. Sharing the island with Haiti to the west, Esperanza has nine branch offices in Santo Domingo, Santo Domingo Norte, Hato Mayor, Samana, El Seibo, Los Alcarizzos, San Pedro, La Romana, and Puerto Plata. With over 40% of the population living below the poverty line of $4/day, we work where the most vulnerable live. Esperanza services are offered where access to capital and resources are most sparse. This is primarily in rural communities, the regions where our Associates work, live, and raise their families. As a Haitian immigrant, Thomas lives near the beach of Sosua selling paintings to support his family. He is an Associate pastor at two different churches in his community and a businessman at heart. 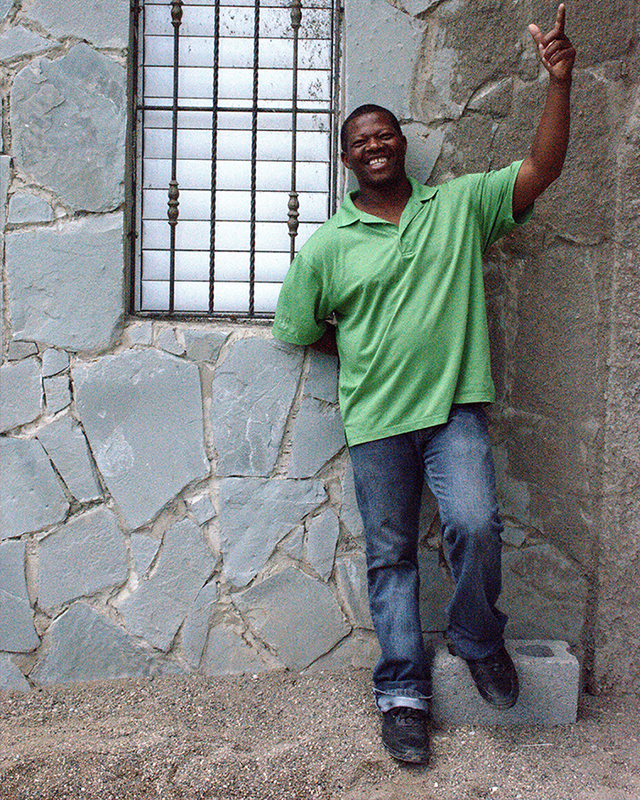 Having received two loans from Esperanza, Thomas is repaying his second loan of $16,000 Dominican pesos or $877. Thomas hopes to buy more materials for his painting business with his loan from Esperanza and become a provider for his children, wife, and community. As a widow, father of nine children, and business owner, Maurcio embodies “forteleza” or “strength” in every facet of his being. He has borrowed loans from Esperanza for over 10 years, and is currently repaying his 22nd loan. Maurcio is expected to have a repayment rate of 100%. Pastor Ernesto of Iglesia del Nazaret Celestial had a dream for his church to open a bakery. As a pastor, he desires not only to preach the Gospel, but to also help the needs of his community. 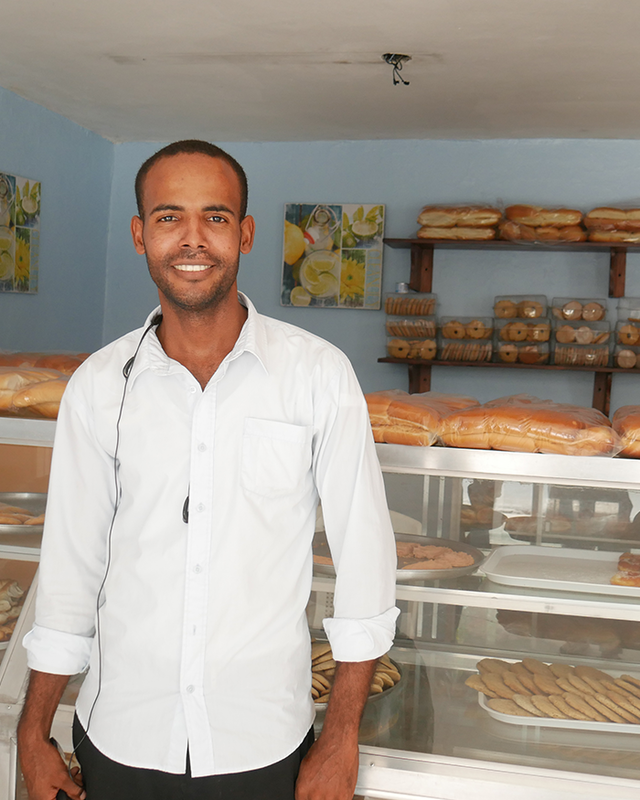 With the loan he borrowed from Esperanza, Ernesto opened a bakery and is now employing 7 community members. Ernesto’s dreams for the bakery continue as he hopes to be the supplier of breakfast for schools in his neighborhood. 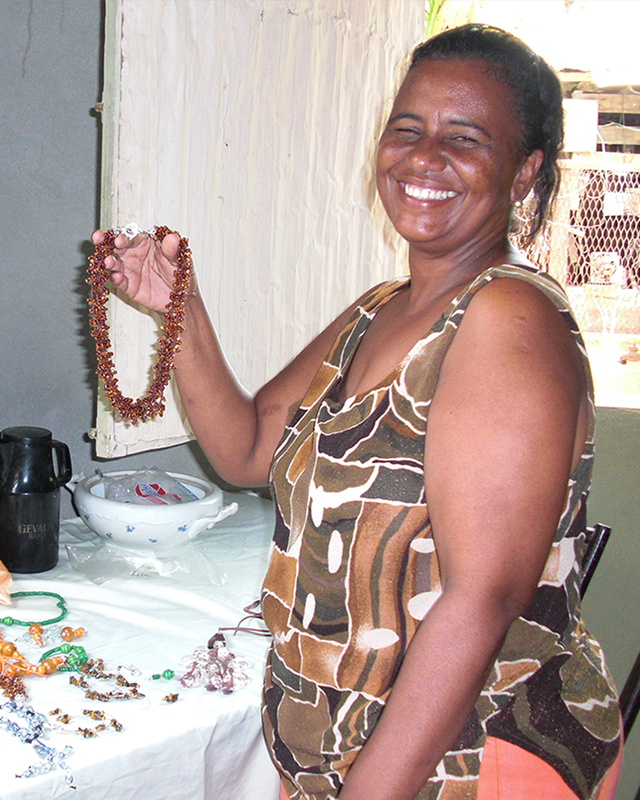 Carmen is a bright, engaging woman who resides at the base of the tropical hills in Los Alcarrizos. As a talented jewelry maker, Carmen crafts beautiful bracelets, necklaces, and earring sets to sell from her home. Prior to Esperanza, Carmen had no means to purchase supplies. Through access to capital, she has been provided an opportunity to transform her lucrative hobby into a scaled and profitable business. In her free time, Carmen teaches the youth in her area by introducing them to the arts. Juana graciously thanks Esperanza for teaching her how to save money. 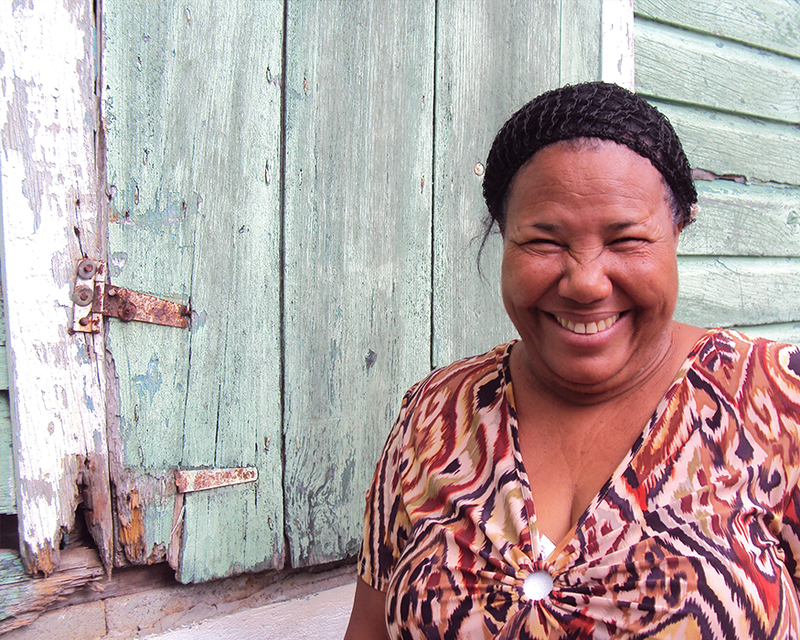 Before borrowing loans from Esperanza, Juana did not have savings nor did she know how to save. Through the business trainings offered through Esperanza’s “Doing Business God’s Way” curriculum, Juana is equipped with tools and disciplines to help her save 5% of her monthly earnings. Today, Juana has almost $900 in savings. She keeps her savings for her family in case of medical emergencies or injuries. Juana’s previously unnamed business now proudly bares the name of “Esperanza. Sandra is a force for change in her family and community. As a graduate from Esperanza’s group loan model, Sandra receives individual loans from Esperanza to grow and expand her business. Her most recent loans of $550, $870, and $1,100 were used to buy significant supplies for her empanada restaurant, a business which started in Sandra’s home and now operates in its own space serving the entire community. With the revenue earned from her empanada restaurant, Sandra sends her children to school and supports her neighbors in need. 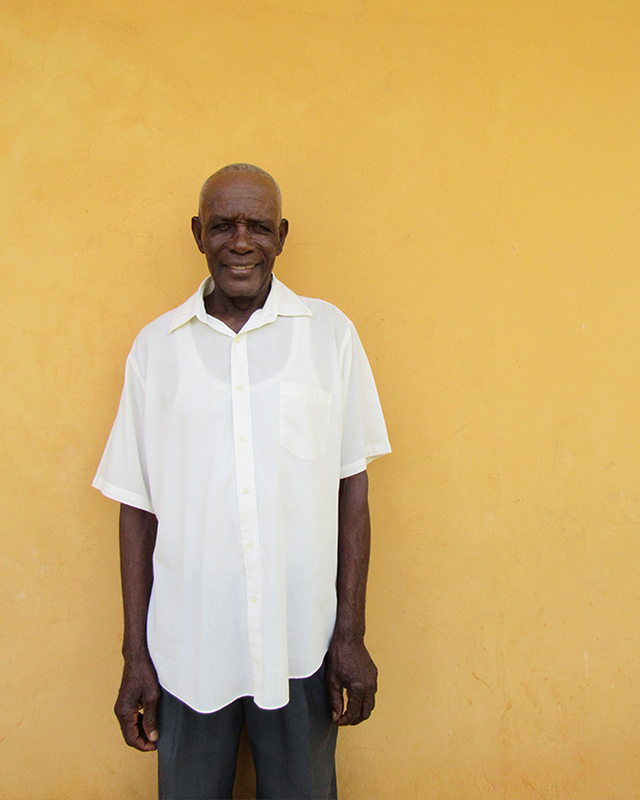 One of Sandra’s sons graduated technical school as a mechanic and the oldest hopes to study physical education. Sandra says none of this would have been possible without her business. As for her city of San Pedro, Sandra dreams for more. She wants productive opportunities for the youth in her community as delinquency is common. Sandra dreams of expanding her business so she can employ the youth, making her business a part of changing the city. 11 years ago Lorenza was struggling to support herself and her family through her small clothing business. She always worked hard, however lacked the resources and inventory needed to fully utilize her skills and grow her business. Upon learning about the process of microfinance, Lorenza borrowed her first loan from Esperanza for $310. With the capital borrowed, Lorenza invested in her business and starting making a profit. As she saw success with her business, she felt freedom to expand. 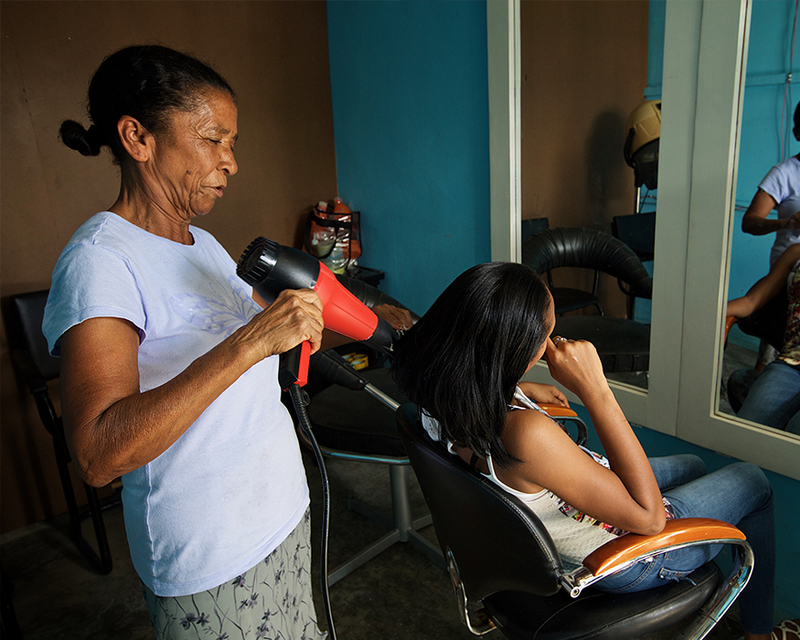 Lorenza is now the proud owner of a beauty parlor, bakery, and a car which is delivers Mabi, a popular soda, to individuals in her neighborhood. Lorenza has six children and a granddaughter. Her biggest dreams are to provide education and stability for her family as well as jobs with livable wages for her community. Maria Cordones is an entrepreneur and mother of four children living in the rural community of El Seibo where she owns a colmado to support her household. 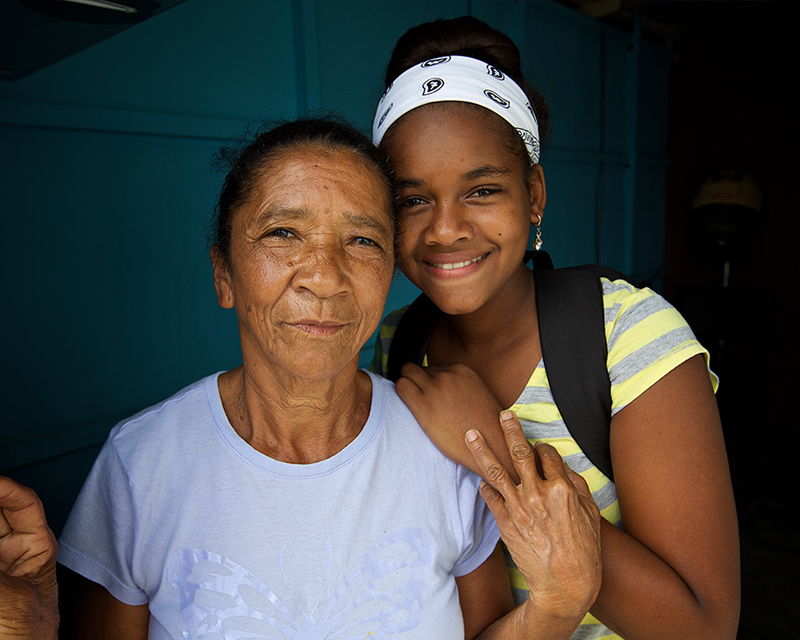 Maria has been with Esperanza for four years, the first year in which she borrowed a loan of $315. She is now repaying her 6th loan with Esperanza of $764. With the capital borrowed from Esperanza, Maria has been able to grow her business and develop her family. 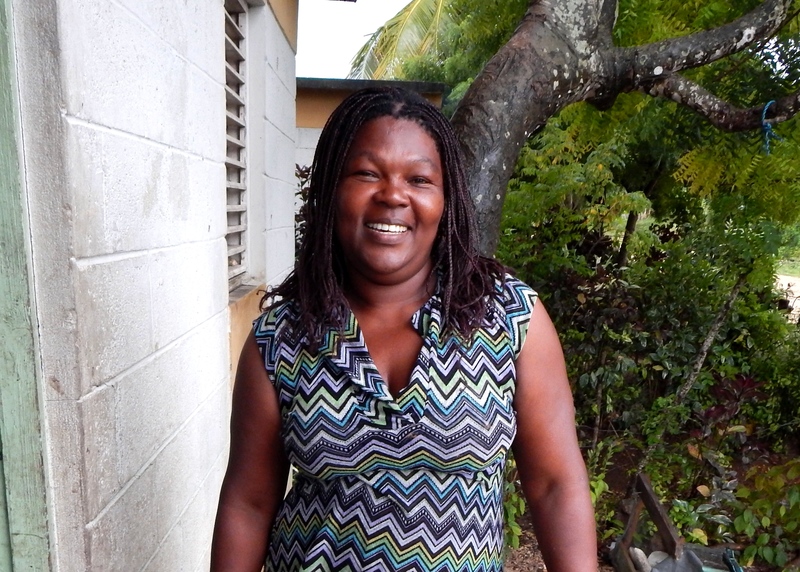 Maribel de Leon, age 46, has owned a colmado for over 20 years in Batey Higo Claro. Maribel’s colmado operates inside of her home so that she can care for her six children while also running her business. Her first loan of $186 USD was used to expand her business and increase her inventory. 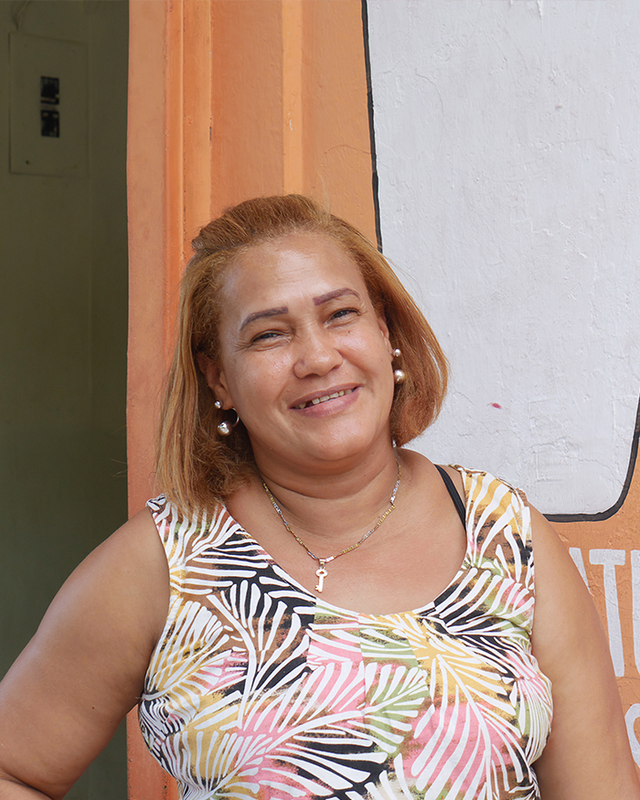 She has been able to expand her business, and Maribel is now repaying a loan of over $930. Due to the stability her business has gained during her time with Esperanza, Maribel is proud to say that she can now offer credit to her clients who are facing financial difficulties.